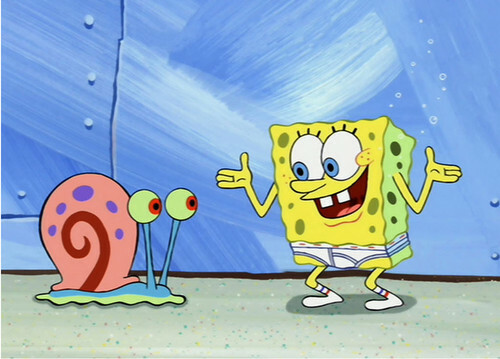 Spongebob in UNDERPANTS!! :)). Spongebob in his slip, caleçons. HD Wallpaper and background images in the Bob l’éponge club tagged: spongebob gary underpants. This Bob l’éponge photo might contain signe, affiche, texte, tableau noir, tableau, and affiches.